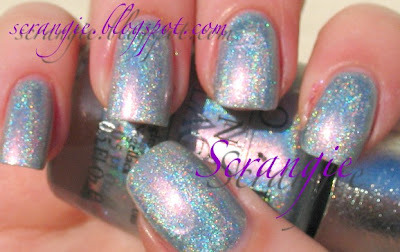 Scrangie: OPI Designer Series, part 2. Just a quick post today. 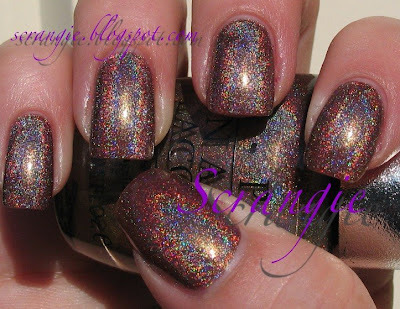 Earlier this week I posted some swatches of OPI Designer Series Polishes. I'd like to eventually post all of the colors, but the names are all so similar I can never remember which ones I've done and which I haven't. Design... Desire... Divine... It's enough to make my head hurt. Anyway, here are a few more. Once again, you may click the pictures to see more detail. That's it for now. Have a safe and fun weekend, everyone! Thanks, Tabe-chan! :) You know me, I love glitter! How many coats did you use on the Desire? In your swatches the Desire looks almost black to dark brown with holo, but when I used it on myself it was more of a tan.